Yesterday, upon the recommendation of friends, in honor of the Independence Day, we visited Samarkand to meet and exchange experiences with the company that is close to us by values, mission and spirit. 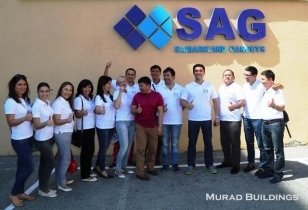 In 2000, the joint venture Sam Antep Gilam started with one compact machine, and now – it is the largest and most innovative plant in the CIS for the production of carpets. The plant manufactures more than 5.000 products per day, which are exported to the CIS countries, Europe, India, the USA and even to China. Listening to the ambitious goals and vision of the founder of this company Kamol Abdullaev about his plans on the entrepreneurship development and contribution to the prosperity of our country, it is impossible not to be inspired. This charismatic, generous and strong-willed man, confidently steps forward in order to increase the abundance and happiness of his people, he wants to glorify our country all over the world. The company has built one of the most modern clinics in Uzbekistan, where the complete set of the newest medical equipment was installed and the best professionals of Uzbekistan and of the foreign countries are involved. Samarkand horses, living in the most modern environment bring Uzbekistan the victories together with glory one after another. Many equestrianism champions provided with all the required equipment are training here. Respect to the management and to the whole company staff! We are proud and rejoice in your successes. We wish you further prosperity of your business and want you much always to be an inspiring star to steer for a many entrepreneurs, who want to succeed and most importantly see our country great and consider it their duty to contribute their bit! Murad Buildings promises to pass the “Torch of Inspiration” to a plenty of the other companies and will try to stay a worthy enterprise of our Motherland!